Welcome to the 670th edition of my series. With this show going on, I have not really gotten around to football so it's not the matter of boycotting it, I am just busy. I have found time to work on this so I will just get to my selections for the week. St. Vincent (2014): I start with this dramedy as some would call it though I might have spelled it wrong but I don't really care. Theodore Melfi wrote and directed this film which stars Bill Murray as alcoholic and gambling addict Vincent who just does not have a care in world in his grouchy and stubborn ways that drives others away. He gets new neighbors in the newly single mother Maggie, played by Melissa McCarthy, and her son Oliver, played by Jaeden Lieberher. Maggie must work a lot as a nurse and by default Vincent becomes Oliver's babysitter but at a price. Oliver starts to see around Vincent's cynical and stubborn ways finding that he is really a pretty good person and they form an unexpected friendship through time. Naomi Watts, Chris O'Dowd, Terrence Howard, Kimberly Quinn, Lenny Venito, Nate Corddry, Dario Barosso, Donna Mitchell, Ann Dowd, Scott Adsit, Reg E. Cathey, Deirdre O'Connell, and many others co-star in this film. 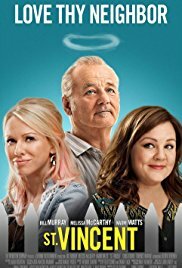 This is a comedy but is also a character study more than anything which Bill Murray does very well in my opinion. Watts is amusing as the pregnant Russian stripper Daka. Lieberher makes a very good theatrical film debut as Oliver working very well with Murray. While this is a very raunchy film, it is also very touching at the same time. 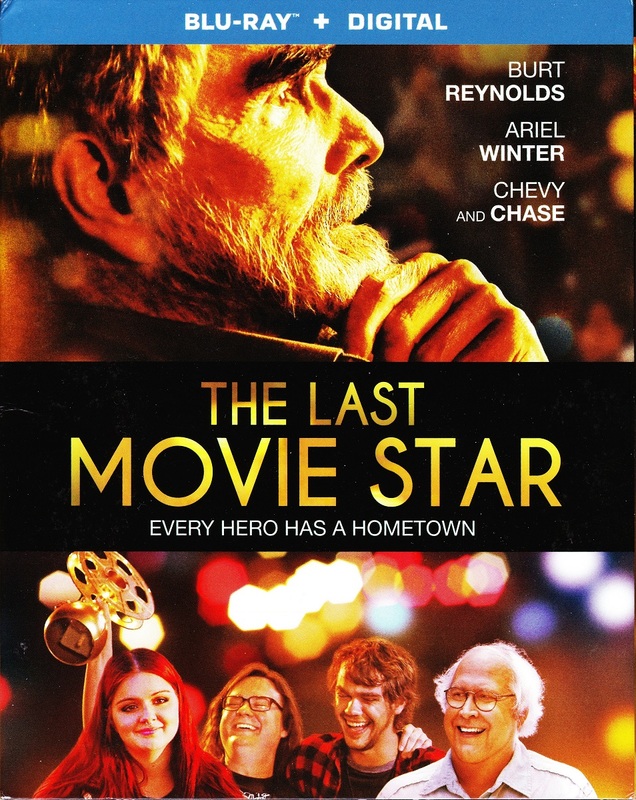 The Last Movie Star (2017): This is my tribute to Burt Reynolds that recently left us and is part one of a two-part series. I know he has a lot of classic films, especially in the '70s but as I was searching, this much later film in this career that I had not heard of grabbed my interest the most. Adam Rifkin wrote and directed this independent film which stars Reynolds as the aging and has-been actor Vic Edwards. Edwards is invited to a film festival where he is being awarded a lifetime achievement award for his work and turns out to be a young fan club at a run-down bar. Ariel Winter co-stars as Lil whose brother Doug, played by Clark Duke, puts her in charge of driving him around which was a job she hated at first but like the last movie, these totally different people slowly form an unlikely friendship through a road trip that Vic her take him on to relive his past in a sense. Chevy Chase, Ellar Coltrane, Al-Jaleel Knox, Nikki Blonsky, Juston Street, and many others co-star in this film. Reynolds is great as the faded film star who must face that his glory days are behind him and is really a story about growing old. It also does a great job of using older footage and photos of Reynolds. 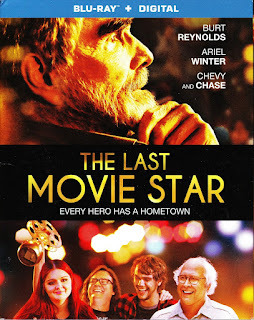 I had not heard of this movie before I looked for something to use with Burt and was blown away in the end where I immediately went to Facebook to give it a like on the page when it was over. This was a very well-written film that was driven by the script and the good performances. This is some very underrated work from the late Burt Reynolds and sorry that it took his death for me to be exposed to the film which is available on Amazon Prime. EuroTrip (2004): Now I go to the raunchy comedy. Jeff Schaffer directed and co-wrote this film along with Alec Berg and David Mandel. Scott Mechlowicz, Jacob Pitts, Michelle Trachtenberg, and Travis Webster are a group of friends and recent high school graduates that decide to go on a European trip after Scott, who is dumped by his girlfriend Fiona, played by SMALLVILLE alum Kristen Kreuk, and has a German pen pal named Mike and learns that Mike is really a girl named Mieke, played by Jessica Boehrs, but she has blocked his messages through a misunderstanding prompting him to go on the trip where the rest go along. Matt Damon, Vinnie Jones, J.P. Manoux, Fred Armisen, Lucy Lawless, Diedrich Bader, Mindy Sterling, Jeffrey Tambor, and many others co-star or have cameos. This delivers quite a bit of laughs but is very raunchy so not for everyone. A group of college students would probably enjoy the most. In these kinds of movies, I usually am most amused by the cameos like from Damon and from Xena herself Lucy Lawless. This can be very funny and enjoyable if not taken too seriously and can get past the absurdity of some scenes. 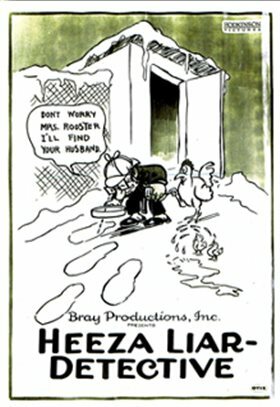 Col. Heeza Liar, Detective (1923): Last week, I included the much earlier LIGHTNING SKETCHES from 1907 and this week I continue some of these classic shorts that combine live action and animation. Vernon Stallings was another animation pioneer and created a series of shorts with the character Col. Heeza Liar with this one being one of the later ones. In this one, in the live action world, a rooster is stolen so his animator, played by Stallings, feels that his animated character is the one for the job. This is a very clever short doing a great job of combining the live world and animation together in a rather clever story. This is available to watch on Filmstruck. 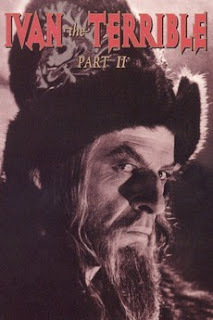 Ivan the Terrible Part II (1958): This is my Russian film for the week. Last week, I featured the first of these two movies which was meant to be a trilogy but did not happen. Sergei M. Eisenstein directed this sequel which stars Nikolay Cherksov who reprises his role as the title czar. This takes part in his later part of his reign and essentially his descent into madness. The first movie was made in 1944 which was mostly given the green light by Stalin and this one started filming in 1946 but Stalin did not like this darker portrayal in Ivan's later years withholding this one until the year noted in the parenthesis. Like the first one, this is also available to watch on Filmstruck. The Prize (1963): Mark Robson directed this film based on the novel by Irving Wallace. This centers around the world of Nobel prize ceremonies. 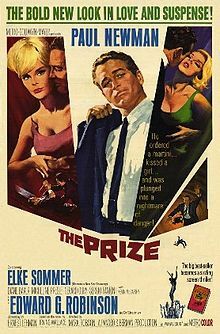 Paul Newman stars as Andrew Craig who is being awarded a Nobel prize in literature but seems to be far more interested in women and drinking. Edward G. Robinson co-stars as Dr. Max Stratman who is winning a Nobel prize as a physicist. They seem to enjoy each other once meeting but Andrew becomes suspicious in Stratman's changed behavior. He decides to investigate and discovers a very sinister plot against Dr. Stratman and does what he can to stop it. Elke Sommer, Diane Baker, Micheline Presle, Gerard Oury, Sergio Fantoni, Kevin McCarthy, Leo G. Carroll, and many others co-star in this film. Newman does well as the action lead and kind of a James Bond like action film. This is not very realistic but still enjoyable. This is available to watch on Filmstruck. What Maisie Knew (2012): This is part one of a two-part Julianne Moore series. Scott McGehee and David Siegel directed this film based on the novel by Henry James in a more contemporary take of the 1897 novel. Onata Aprile plays the 7 year old title character whose parents Susanna, played by Julianne Moore, and Beale, played by Steve Coogan, are in a bitter custody battle and both are very dedicated to their careers that their significant others, played by Alexander Skarsgard and Joanna Vanderham, and usually left to take care of her. Diana Garcia, Amelia Campbell, Maddie Corman, and many others co-star in this film. Like a lot of my selections this week, this had a lot of emotional depth for me. 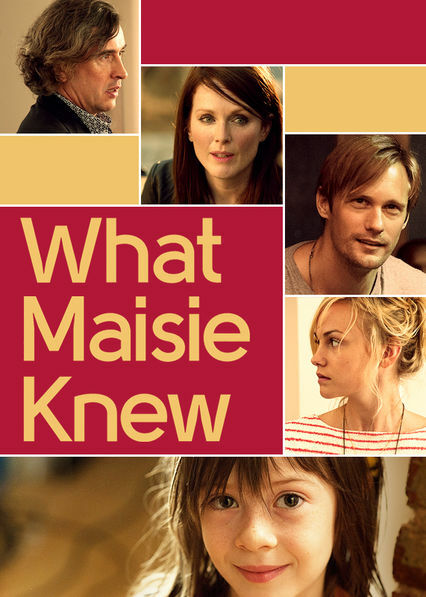 Aprile has a really good performance as Maisie whose point of view the movie is mostly from. It is hard to put this any further into words but this is a very moving film on the love of a child. Fox and His Friends (1975): This is my German film for the week. Rainer Werner Fassbinder directed this film in which he also co-wrote, produced and stars. Fassbinder stars as Franz Bieberkopf whose work consists of the carnival show where he plays Fox, the Talking Head. He loses that job when his boyfriend is arrested for tax fraud. Soon Fox wins the lottery and forms a relationship with upper-class gay businessman Eugen, played by Peter Chatel, and helps in a business proposition with his lottery money. Karlheinz Bohm, Adrian Hoven, Christiane Maybach, Harry Baer, and many others co-star in this film. This is an interesting look into the gay world of Germany and Fox getting in way over his head trying to fit in with the upper-middle class and the unscrupulous people within it. This is available to watch on Filmstruck. A Woman's Face (1941): This is my film-noir for the week which was directed by George Cukor and based on a play by Francis de Croisset. 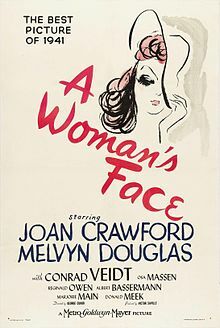 Joan Crawford stars as blackmailer and criminal Anna Holm, whose face is also disfigured. She meets Dr. Gustaf Segert, played by Melvyn Douglas, who is a plastic surgeon offering to fix the disfigurement. When this happens, Anna starts to feel more appreciation towards a family she intends to mostly con but has second thoughts. Conrad Veidt, Osa Massen, Reginald Owen, Osa Massen, Albert Basserman, Marjorie Main, Donald Meek, Connie Gilchrist, Richard Nichols, Charles Quigley, and many others co-star in this film. This is a series of flashbacks from a court trial and the weave together very well. This is a very compelling film from that era and is also available to watch on Filmstruck. 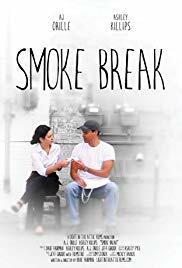 Smoke Break (2018): I end the week with this short film. Dave Fairman wrote and directed this short film. A.J. Orille and Ashley Killips star as Joe and Eliza who work next door to each other. Joe tries to match up his smoke break with Eliza's where they both share daydreams they have at being anywhere but work. 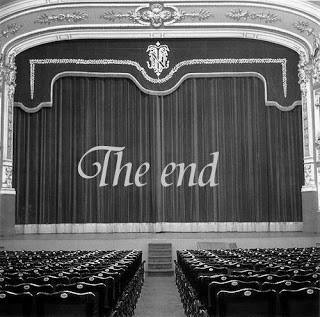 While telling the story, they go into their daydream where not everything is being spoken. This is only about eight minutes long but is a well done few minutes. This is available to watch on Amazon Prime. Well, that is it for this week. 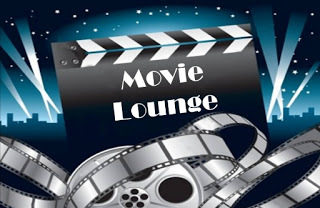 Tell me what you like and dislike and stay tuned for next week that so far includes Burt Reynolds, and many others.